I celebrated my 8 year anniversary in the UK on the 21st January. I have had many firsts here – broken bones, high teas, baking exploits, snowfalls, sub zero BBQs just to name just a few. 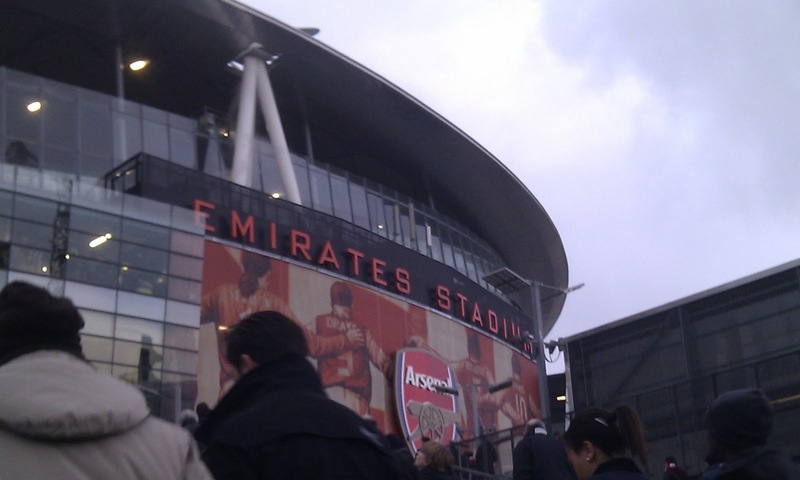 But until last Sunday, I had never been to a football match here. In Melbourne, the prevailing game is AFL and while I would never say I was a mad fan, I watched games sporadically on the telly, chatted avidly about the Footy Tipping around the water cooler at work and have been to the MCG twice – once to watch my beloved Brisbane Lions reign supreme on the last Saturday in September 2001 and again, to the traditional ANZAC Day match between Collingwood and Essendon in 2007 on one of my prodigal visits down under. Since getting ‘off the boat’ in 2004, I have grown to enjoy a good game of soccer (as we call it), enjoying the World Cup/Euro matches from the comfort of my couch at home but had failed to develop either the inclination or the opportunity to sally forth for real. So when a friend got some great tickets for last Sunday’s match between Arsenal and Aston Villa at Emirates Stadium, who was I to say no!? A little context first. My friend is an Arsenal supporter and this was the 4th round of the FA Cup (it said so on the program) so things were bound to get heated. His partner had not been particularly keen to attend so I got a guernsey by default (A-down-the-hill and I call that being an ’emergency handbag’) so I felt compelled to band together with said friend in the Arsenal camp. 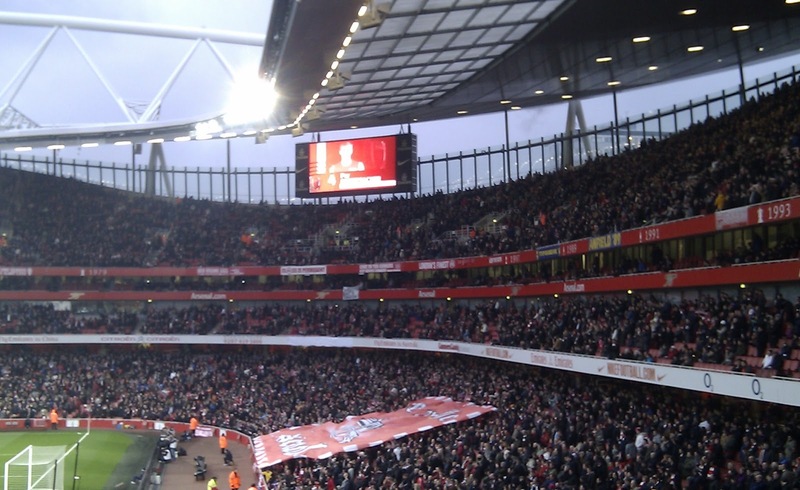 But in any case, Emirates is the home ground for Arsenal and we were completely surrounded by the red and white so cheering for anything but a Gunners win was likely to be bad for my health. And at heart, I’m a wimp pragmatist. The match started and Work Friend was kind enough to give me a few pointers on the teams themselves and patiently answered my neophyte questions so that I could follow the action. I’m no soccer football expert but it wasn’t long before I was muttering and shouting with the best of them. When I heard these immortal words pass my lips – What’s he doing kicking it there when there’s no-one forward? (I’ll spare you the swearing) – I suspected I may have been converted. At half time things were not looking good (Aston Villa 2-0 Arsenal) but two penalties early in the second half (converted from the boot of Robin van Persie and yes he’s Dutch) levelled the score and before long Arsenal led 3-2. As the match progressed, the stadium was filled with chanting with my favourite being ‘Who Are Ya? 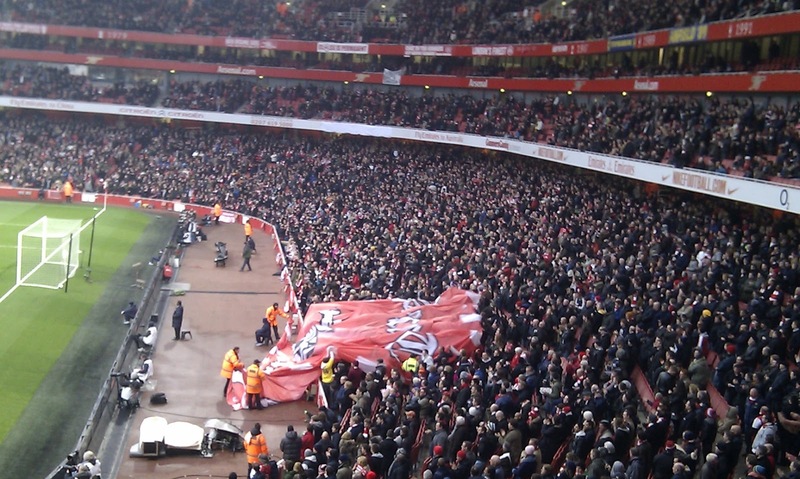 !’ as forty odd thousand Gunners fans celebrated the equalising goal early in the second half. Unfortunately, match rivalry here spills over into a bit more vociferous argy bargy off the pitch and between that and the high ticket prices (£50+ per adult at least), I’m disappointed to say that football here does not have the same family feel as in Australia. Work Friend said he loved the tribalism of it and that’s the perfect description. The atmosphere in the stadium was absolutely electric and given the chance, I would definitely go again. 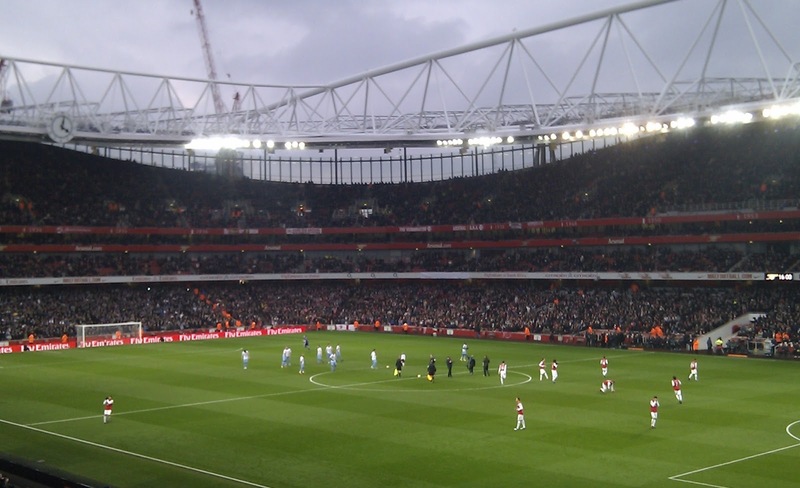 This entry was posted in Expat moments, Gidday Firsts and tagged Arsenal, Aston Villa, emergency handbag, FA Cup, football, Sundays by Kym Hamer. Bookmark the permalink. Alan, for a moment there I thought you were sounding off about AFL…and believe me I was about to give you what for!